At Ritmico Music we aim to provide quality and affordable Music Clubs around Schools in and around Edinburgh. All our clubs are run by qualified musicians , all trained and monitored by Ritmico's management team, and the CURRICULUM they follow is designed to suit all abilities and learning styles and maximize the children music learning. 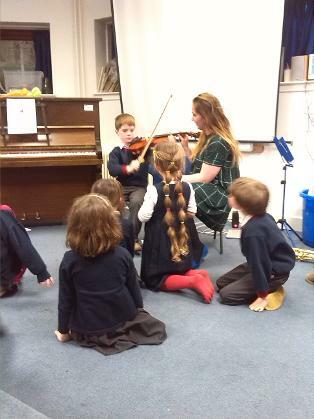 8 and 12 pupils,there are smaller groups in between 4-7 pupils for more specialised instrumental clubs, and they usually run for 45 to 60 minutes. The clubs cost is between £3 - £5 per pupil, per session, with a full term with an average of 12 lessons costing £42. Follow here what is happening in our clubs around several schools in Edinburgh!! These instrument specific clubs prove very popular among children. In these environments, children learn the proper basic techniques of instrument playing, group performance, and music skills, so it is ideal as an starting point into instrument playing. 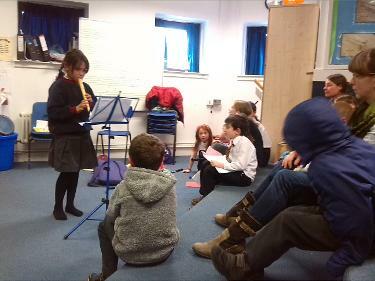 The Recorder Club can be an introduction into wind instruments, so the children can go into play saxophone, clarinet, flute or similar. So it os the violin club into the string world. Singing in a choir is an important social activity that will not only improve aural awareness, but it is also believed to improve memory, team working and social skills. Above all, it is great fun for everyone involved!